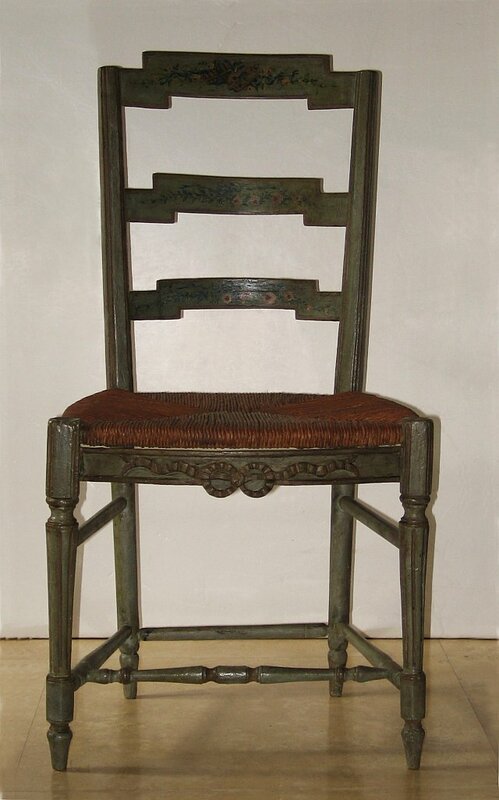 Louis XVI period French side chair. Paint finish original but refreshed. Re-rushed seat.